Okoawo BlueGate: Henry Okah: Activist or Terrorist? Henry Okah: Activist or Terrorist? In a country accustomed to puzzling developments, this one stands out. The revelations coming from the trial, in far-away South Africa, of Nigerian citizen Henry Okah, the alleged mastermind of the October 1 Independence Day bombings, and the speed at which events are unfolding, are astounding. 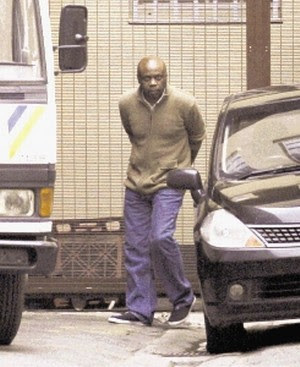 Mr. Okah is not a stranger to law courts and prisons and criminal charges in various countries. On September 3, 2007 he was arrested in Luanda by Angolan authorities and detained for almost six months on charges of gun running and money laundering. On February 14, 2008, the Angolans handed him over to Nigerian law enforcement, who subsequently held him for another 17 months. Indeed Okah was the public face of MEND, as well as the stated reason for many of its attacks; MEND made it clear on a number of occasions that their attacks on oil installations in the Delta were as a result of Okah’s detention. In July 2009, all the charges against him were dropped, and he was released unconditionally, days after it was reported that he had “unconditionally” accepted the Yar’Adua administration’s amnesty offer. Following that his ‘rehabilitation’ was swift, and almost total. No longer seen as the menacing public face of MEND, he enjoyed a spell of heroic publicity, marked by media interviews, and an October 2009 meeting with President Yar’Adua at the presidential villa; a meeting whose agenda or outcome the presidency declined to release. Evidence of this seems to exist: items seized from him during a recent raid on his home included a diary containing potentially incriminating entries (including lists of ammunition), and telephone records (calls and messages) that link him to Chima Orlu and Ben Ebere, two of the suspects, who, very disturbingly, remain at large. Okah’s various conflicting statements also hint at the deliberate concealment and falsification of information. There are several questions that need answers: How did Henry Okah acquire his reputed vast wealth? What happened to the evidence acquired by the Angolan and Nigerian governments, evidence which was used to detain him for almost two years? What is his relationship with MEND? Indeed, what - or who - is MEND now? These answers will prove very crucial in answering the most important question of all: Who exactly is Henry Okah - activist for the fair and equitable treatment of the inhabitants of the Delta; or terrorist and criminal? The Nigerian and South African governments need to cooperate with each other to the fullest to get to the bottom of this matter. We commend the South Africans for the sense of urgency and determination they have brought to this case. The Nigerian authorities on their own part need to get their act together, and not say or do anything that will jeopardise the progress of the investigations and trial. One of the arguments of Okah’s defence team is that “little or no reliance can be placed on any evidence emanating from that part of the world [Nigeria]” because of the preponderance of “conflicting statements” arising from our authorities. It is high time the Nigerian government realised that it would have no excuse for bungling this case. The secret trial (defence lawyers and journalists were kept out of the court premises) on Thursday, of Henry Okah’s brother, Charles, and other arrested suspects in Abuja is condemnable. It is disgraceful that while South Africa is conducting an open trial of the main suspect, Nigeria on its own part is resorting to Abacha-era behaviour. Indeed our greatest fear is this: that, in the quest to bring the perpetrators of the Independence Day bombings to justice, and to bring some form of closure, however belated, to the families of the victims, our government and law enforcement agencies will once again demonstrate their matchless capacity for snatching defeat from the jaws of victory. In this case that would be totally unforgivable.